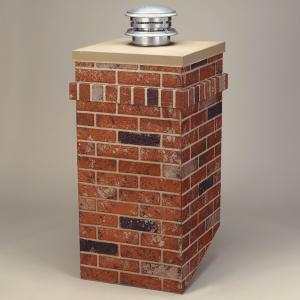 The R-CO Chimney Surround is constructed of coated, 22-ga. steel with interlocking joints. Four brackets are provided that mount the surround to the roof. Come precut to 4/12 pitch and can be cut to other pitches. The top trim kits are sold seperately for a finished look. Assembly screws and flashing are not included with the chimney surround.